New Orleans women talk New Orleans. Two years ago, on August 22, 2007, I arrived in the South, wide-eyed, enthusiastic about all the change around me. I came down to New Orleans from a small town in Wisconsin – a town where I was a big fish in a little pond, surrounded by other fish that looked like me, spoke like me, and behaved like me. It was comfortable, life in Wisconsin, knowing what to expect and not having any unusual activities to throw me off guard or create a sense of urgency or panic. Some may even call my life in Wisconsin idyllic. I packed my car with only the essentials – photos, movies, books, clothes, DVDS, an awesome sound system and my fiance. We left not knowing what was ahead for us – except that we needed change. 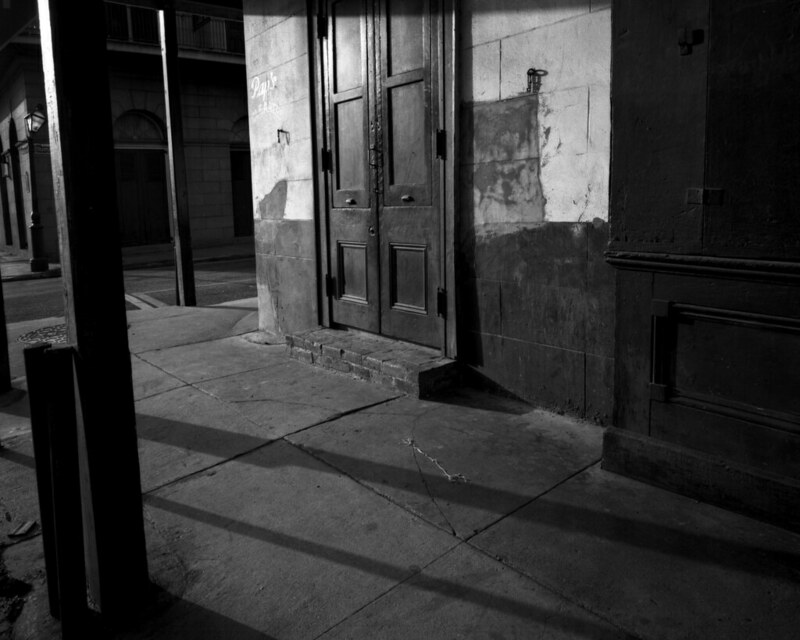 I remember well driving into New Orleans for the first time, pointing out to my husband all of the things I had never witnessed in real life, only read about in books or seen in movies. Look at the trees! Look at the houses! Look at the buildings! Look at the people! I was a stranger in a strange land, breathing it all in, embracing it, ready to call it home. The first time someone called me ‘baby’ at the gas station, I thought they were hitting on me. It took me a while to figure out that you could make U-Turns on the streets down here without the red and blue lights of a police officer following you and giving you a scolding at best, a ticket at worst. The rain even fell different down here. This small town girl experienced life in a big city – thee city – for the first time. Even with the enthusiasm I had towards New Orleans and it now being my home, I still felt different, like I didn’t belong. No one made me feel unwelcome, but there was just something that made me different – something other than my mid-west roots. It bothered me for a long time. At times, it made me anti-social, conscious of my differences, of how I wouldn’t belong. I took pride in living in New Orleans, but, well, I wasn’t from New Orleans. I’m a survivor, but I didn’t have the built-in quiet strength found in people from New Orleans. I didn’t have the ability to just forget about my problems, if even for a little bit, and enjoy life. I hadn’t yet figured out how to dance and sing at a funeral, instead I wept and mourned and took pity. It wasn’t until recently that I felt like I belonged, that I could take great pride in being from this region, and not end every sentence telling people I live in New Orleans with “but I am originally from Wisconsin.” It was over my first bowl of gumbo. I had been invited to the home of a new friend, a woman I met in a community of writers that got together once a week and sat in silence and wrote. We didn’t share what we were writing with one another, nor did we engage in conversation – about writing or not – we just all congregated to the same place and spent three hours a week doing nothing but writing. After that three hours were up, we would tell each other we would see one another next week, and we left. After one of these sessions, Rosa, a smart sixty-something native approached me. “How yuh gumbo?” I was asked by Miss Dorothy, a seventy-something staple in the group. “This is the first time I have ever had gumbo,” I confessed. “Get used to it, child, you one of us now.” Ludy chimed in.